Boaty McBoatface Has Returned! WITH DATA! The internet's own custom named submarine has returned from his first mission after boldly going deeper than any human dare before. Ah yes, Boaty McBoatface. The internet’s hero. Some would say that Boaty McBoatface is the pinnacle of all the hope of 2016, apart from Pokemon GO. Boaty McBoatface, surpassing everyone’s expectation and surviving the harshest environments. The Antarctic cold, public scrutiny, and the harshest of places, the British Government. For those of you who can’t recall the awesomeness that is Boaty McBoatface, back in early 2016, there was a poll proposed by the British Government to let the internet vote for a name for their new polar research ship. Little did anyone suspect, but the name Boaty McBoatface rose in popularity above all else. Tragedy struck when the British Government, disregarding all the people’s choice and just overall having no sense of humor about the entire situation, decided to name the ship the Sir David Attenborough, after the famous naturalist. However, hope was not lost. 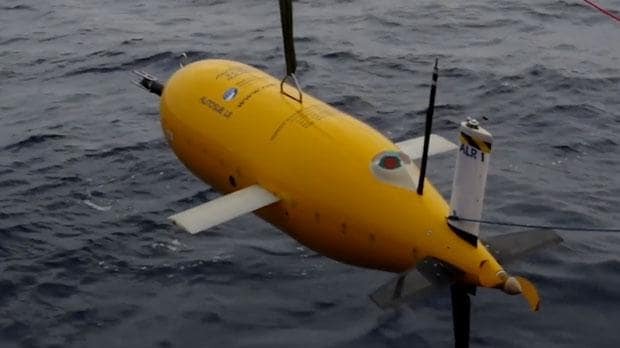 To keep the light of the people alive, the autonomous yellow submarine that would do all the ship’s research was hence named Boaty McBoatface instead. Boaty’s mission (and subsequently the Sir David Attenborough’s mission) was to study the Orkney Passage, one of the coldest deep sea currents in the world. The goal was to hopefully gain a better understanding of how ocean mixing affects climate change and if it’s possible to regulate it. Boaty traveled over 180 km (110 miles) and reached depths of 4,000 meters (13,100 feet) in subzero temperatures. “We were extremely pleased with Boaty’s performance,” said Professor Alberto Naveria-Garabato of the University of Southampton and lead scientist of the Royal Research Ship James Clark Ross, “Boaty flew through some very strong currents, very close to the ocean bottom and encountered some really steep terrain. And it did this while running through a very complex sampling pattern.” Boaty took the temperature, salinity, current, and turbulence measurements on its deep dive through the Orkney Passage. The Orkney Passage is a critical “valve” in the “great ocean conveyor”, which is a system of deep circulation that helps redistribute the heat that has built up in the climate. Boaty’s expedition brought to light that there is evidence that the Orkney Passage is warming. There is strong evidence that suggests that the winds over the Southern Ocean are forcing the heat through. “When the winds change speed they can lead to an acceleration or deceleration of the currents carrying the botox-water out of Antartica,” said Prof Naveria-Garabato, “And when these currents change speed they will produce more or less turbulence depending on whether they go faster or slower, and that can change how much heat gets mixed into the currents from above, because the waters above are warmer.” This could mean that the sea level could continue to rise, which means a lot for the climate. Float on Boaty, float on. I am impressed that it was able to dive to those depths and actually return. I wonder what the plan would have been should the boat not have been retrievable. LOL. I know right? What a great name and now the vessel is actually providing good information. So that is nice. Phew! That is a deep dive. I love the name of this thing and now I wonder why I am first hearing about this now. I would love to see some photo or video footage in the depths like this. All of the other stuff is great for science, but for the rubberneckers out there, visuals are good! All of that science type information, but there were no photos taken? I was wondering the same thing. No photos or video? That is all the world wants to see these days! LOL. Awesome to hear. At least with a name like that, it will not be tied to a complete disaster, yet.